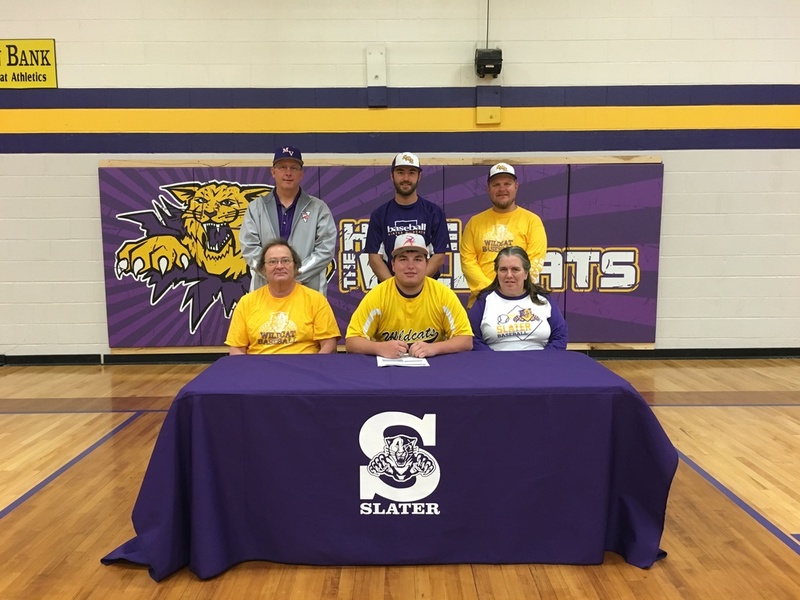 SLATER – Slater High School has announced that 2016 graduate Albert Foster has signed a letter of intent to play baseball at Missouri Valley College in Marshall, MO. Foster played baseball all four years at Slater High School and in his senior year had a .263 batting average, 5 runs, 5 RBIs, and 5 doubles. PHOTO CAPTION: Missouri Valley Head Baseball Coach John McEachern, Slater High School Head Baseball Coach Shawn Rhoades, Slater High School Assistant Coach Robert Pannell, Roy Foster, Albert Foster, and Beverly Foster are pictured at the official signing in mid-May.